Steamtech is well recognized for it’s commitment to safety and security of both it’s own equipment and personnel, and also that of it’s clients. Our safety record is impeccable, with zero harm being our only acceptable outcome. Our procedures are well documented, and our staff well versed in their execution. 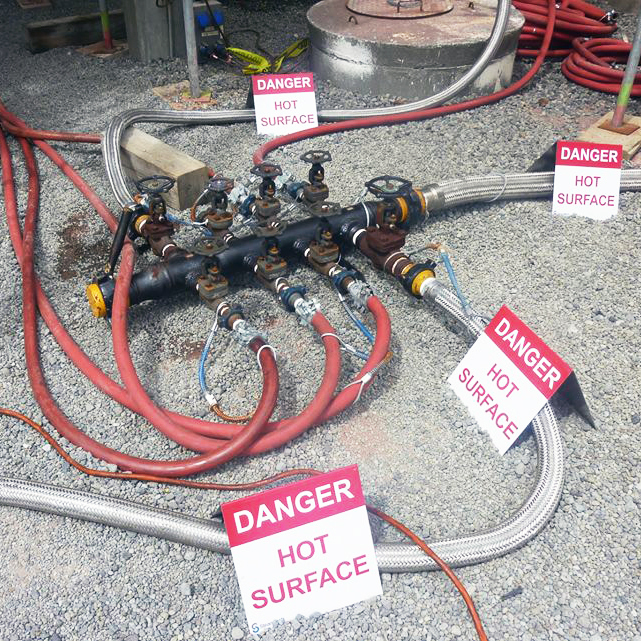 Our work is conducted in critical components of our clients business, and often in potentially explosive areas. So our procedures are meticulously documented, and any difficult or risky aspects are discussed in detail with our staff and our clients prior to commencement. State-of-the-art equipment for safe and efficient operations. Internally generated JSA (job safety analysis) carried out for all jobs before work begins to assess risks and hazards. Systematic induction process conducted both prior to visit and onsite. Regular company HSE meetings and on site tool box meetings.